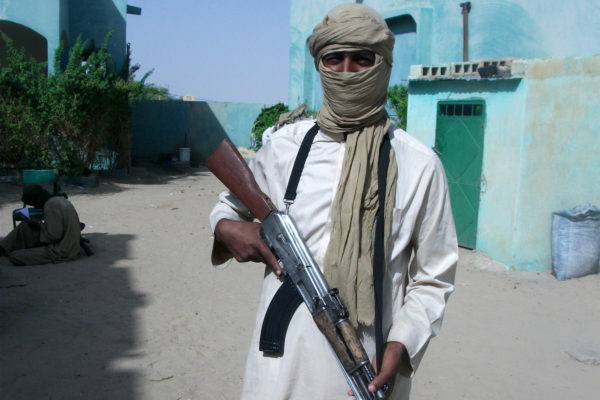 Al-Shabaab, al-Qaeda in the Islamic Maghreb (AQIM), and Boko Haram, while all different, each display three common characteristics that aid in understanding terrorist actors in Africa. The observation was made by Dr. Benjamin Nickels, Associate Professor of Transnational Threats and Counter-Terrorism at the Africa Center for Strategic Studies, during a presentation on September 23, 2014, at a four day conference on contemporary security challenges hosted by the Africa Center. First, each group emerged from conditions of relative deprivation and perceived marginalization of specific communities. Second, they metastasized from localized groups to organizations with important regional links and growing abilities to operate across borders. Third, each group exploited local grievances as well as the inability by central and local governments to address the sources of social, political, and economic exclusion. These elements require counter-terrorism policymakers to pursue comprehensive approaches that move beyond the application of coercive instruments to measures that meaningfully address the root causes of violent conflict. Dr. Nickels discussed the “pull” and “push” factors that sustain terrorist organizations and movements. “Pull” factors refer to those elements that attract people, especially youth, into terrorism, while “push” factors are those which push them into such activities. “Pull” factors include active recruitment, economic opportunities, and ideology. All three have been important methods of replenishment and sustainment used by al-Shabaab, AQIM, and Boko Haram. “Push” factors include marginalization, grievances, corruption, impunity, and ungoverned or poorly governed spaces. These factors need to be properly understood and analyzed, because they provide a conducive environment for terrorist organizations to survive and outlive individual leaders. Dr. Nickels also emphasized the importance of focusing on “the unintended consequences of counter-terrorism operations” and how they undermine counter-terrorism objectives. “We continue to see cases of repression in the manner in which some of these operations are carried out, which creates more instability and lends itself to exploitation by terrorist organizations,” Dr. Nickels cautioned. He similarly spoke about the indirect effects of terrorist attacks and how they contribute to creating a climate of instability. Of these effects, economic losses are significant. The tourism industry in countries like Kenya, for instance, has been badly undermined by terrorist attacks. This, in turn, has important spillover effects in other parts of the economy. Clarify respective commitments and interests of African and America partners. Closely link security cooperation to values and principles. Align tactical and operational actions with broader strategic objectives.